At a page where you’ll be editing profile, there’s a link to view and modify users’ uploads. 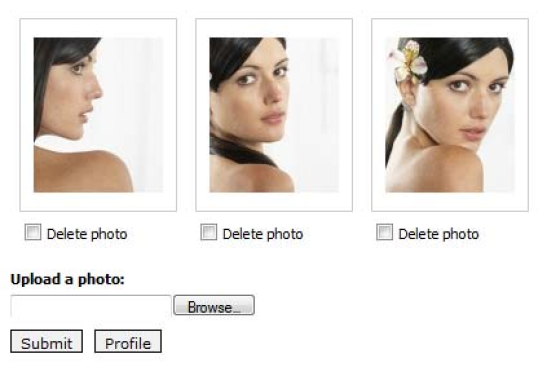 Use checkboxes to delete photos (Delete photo link). Press “Submit” to save the changes. Press “Profile” button to go back to a Lady’s profile.